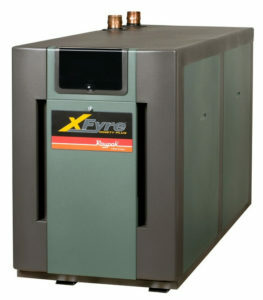 The Raypak® Xfyre and Xtherm boilers and water heaters are space-saving, floor-standing heaters. They’re made with durable powder coated steel cabinets, sealed combustion heat exchanger, front mounted controls, and top mount water inlet and outlet. These units are tough, dependable, and feature-rich.